Move over Grumpy Cat. Crabby Cat is taking over. 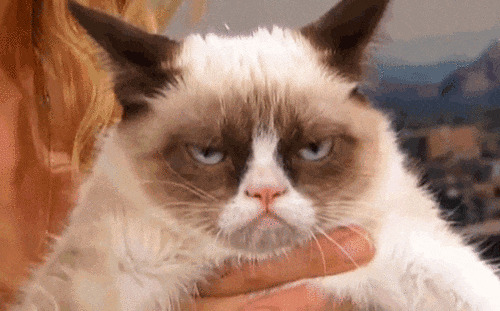 Disgruntled animals have been bringing joy to the internet for years. Now, there is a new social media sensation we are calling Crabby Cat, or Crabby to his friends, if he had any. 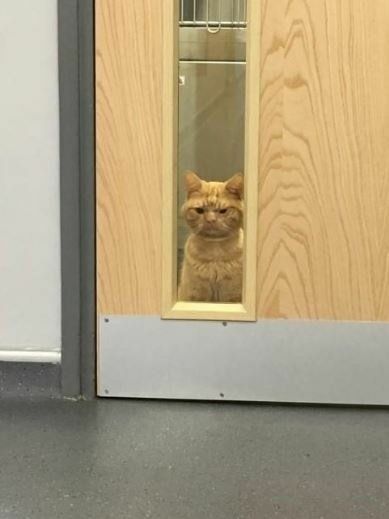 Crabby Cat showed up at Putney Animal Hospital in London, where the staff named him Saul — or Grumpy Cat 2.0. We don't think Crabby has anything to be crabby about. His predecessor, Grumpy Cat, managed to turn that frowny face into a million-dollar career so, paws crossed, maybe Crabby has a big future. Not that he cares about any of that stuff. Silly humans! "He was in a very sorry state ... and had discharge coming from his eyes and nose and looked very poorly indeed. 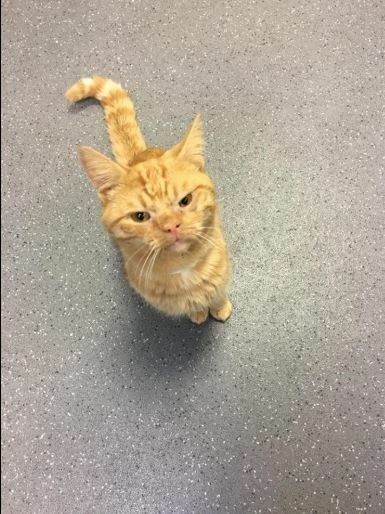 We believe he was involved in a road traffic accident as we found he had injured his jaw, teeth and one eye - all leading to his rather unique look." 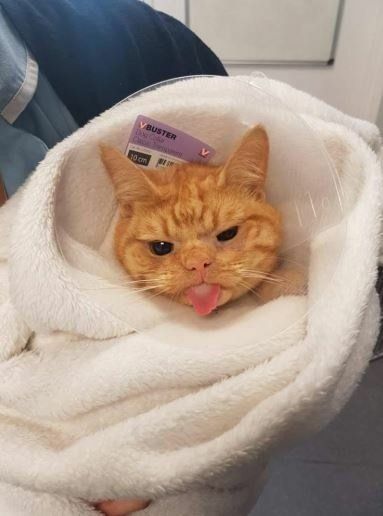 Despite his injuries, Crabby Cat seems to be taking it all in stride, you know, while being completely miserable. "Whether he's being showered with attention and games to play or spoiled with treats, Saul's face does little to suggest he's enjoying himself - although he does occasionally treat them to a cheeky tongue out. Despite his constant scowl, Saul's actually really sweet and friendly." People are already in love, even if Crabby Cat won't love them back. Well, maybe not everyone is so in love. Something tells us it won't be long until Crabby Cat finds a forever home.